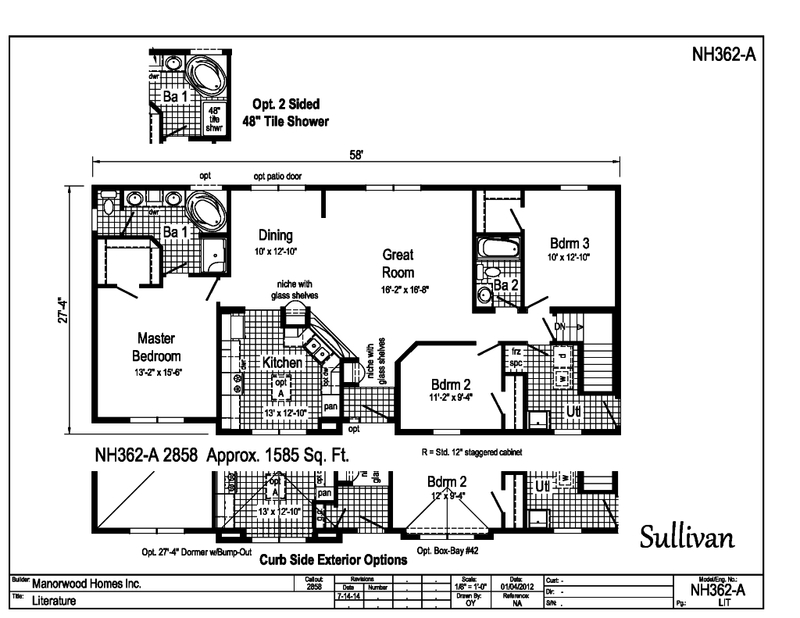 The Sullivan is a 1585 sq.ft. ranch with plenty to offer. The openness of this floor plan is perfect for keeping tabs on the family or for entertaining. The very spacious great room is a great space to make your own. The kitchen has sight lines into the great room above the sink area. The kitchen is a nice area with great countertop space and cabinet storage; it also features an optional island to give you even more space. 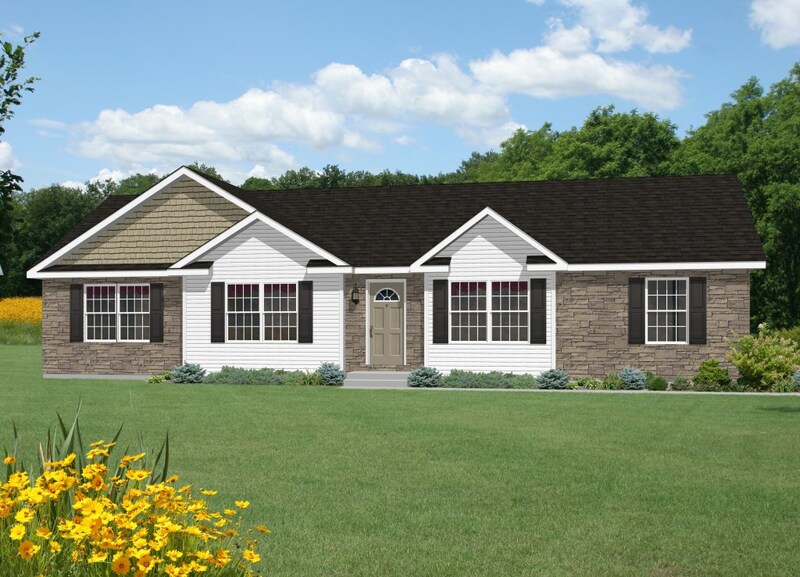 This home is considered a split floor plan since the master bedroom and secondary bedrooms are on opposite sides of the home. The Master bedroom features a walk in closet and a great attached bathroom. The master bathroom consists of double sinks, a soaker tub, and a walk in shower, add the optional window to let the natural light into the room. Check out all the great features of this home!